Alright everyone, don't judge too harshly here. I'm only a year and four months late with this review! I've planned on getting these plush up here ever since I purchased them in October 2017 and then again last May for Cinco de Mayo (I even got an Instagram post up for it). Not sure why it kept getting pushed back, but here it is! 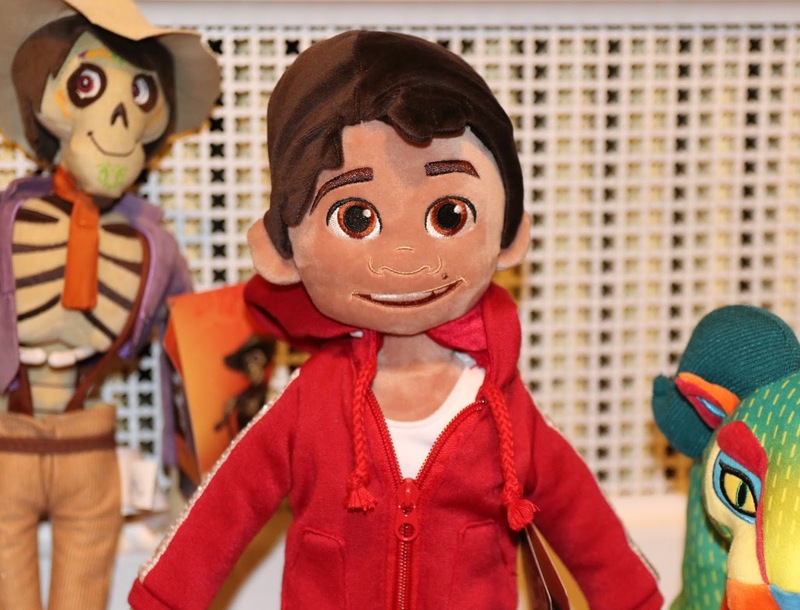 My review of the Disney Store/ShopDisney.com range of Coco inspired medium core plush. 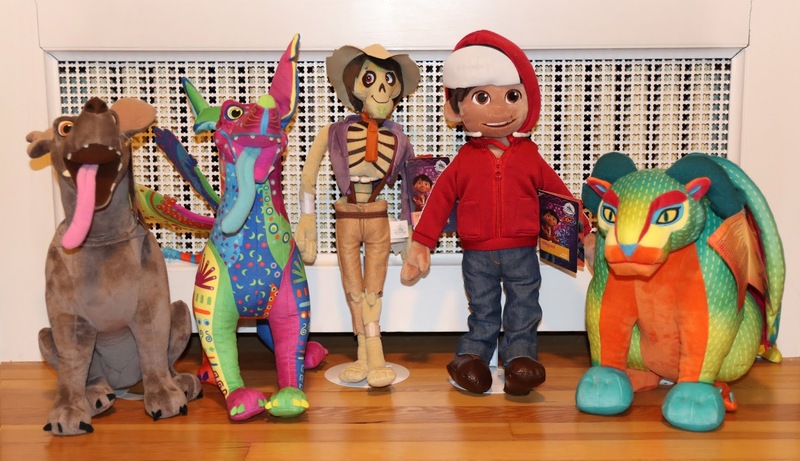 This colorful collection of five soft characters includes Miguel, Hector, Dante, Dante (Alejibre) and Pepita! Each plush originally retailed for $19.95. Let's start with Miguel. He's about 18.5" tall, has a good likeness and is made from a nice variety of soft, quality materials. His iconic red hoodie has decorative drawstrings, a real working zipper and can be fully removed to reveal his white undershirt. 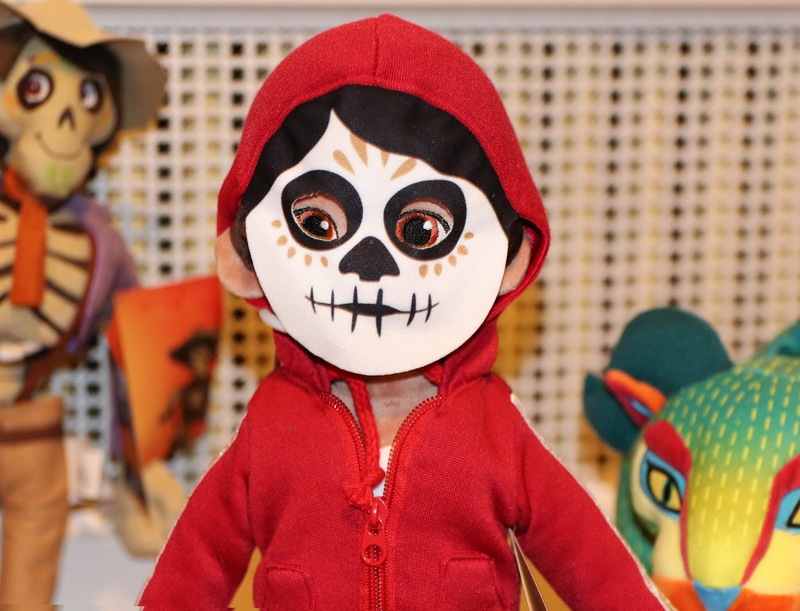 Transform Miguel's face to his land of the dead disguise by pulling up his hood/fabric skeleton face flap! Both Dante plush look fantastic, have wonderful embroidered details and both really capture the character from the film. 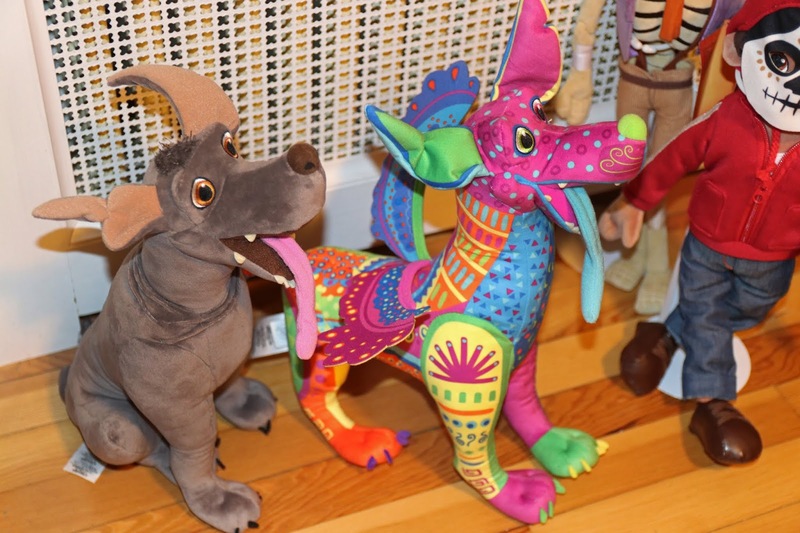 Both are about 15"-16" tall; regular Dante is in a sitting pose and alejibre Dante is standing on all fours. You can't go wrong with getting either of these, but there's really something to say about the alejibre one! The vibrant colors and details in the pattern are outstanding (not to mention those wings and bright blue tongue). There's a reason why the Disney Store decided to bring back only this one recently out of all of these! The Hector plush is very cute. 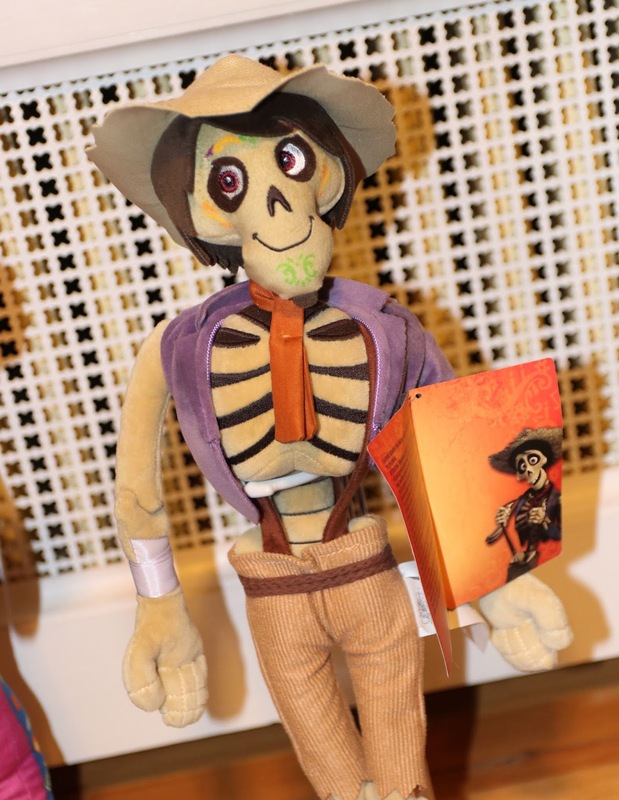 They did a really nice job stylizing him and making a skeleton appealing for kids to play and cuddle with (which sounds weird in concept, but I think it works here). He stands at 18" tall and is also made with a great selection of soft/quality fabrics. 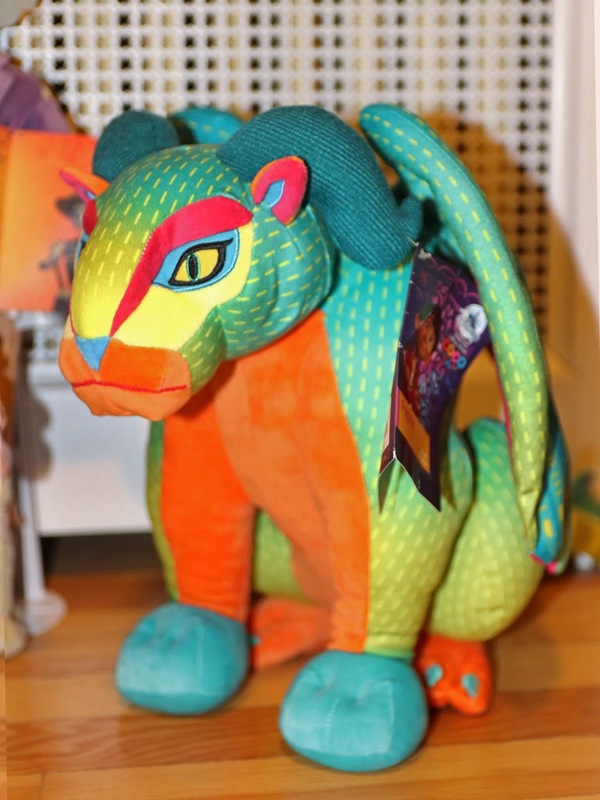 The Pepita plush looks amazing—almost gargoyle-esque in her stance! She's very soft with bright colored fabric and embroidered details. This one may be the coolest and most striking, which is probably why she's also the rarest of these five plush. Pepita measures about 12.5" tall. There you go! I'm so happy that these are finally documented and reviewed here on the blog. As mentioned, these aren't available to purchase anymore unfortunately (aside from alejibre Dante which made a comeback, BUY HERE or in store), but you can pick them up on eBay (if you don't mind paying high prices) by using THIS direct link to current listings. Sellers also have them listed on Amazon, but again, prices are very high. Let me know all your thoughts down below? Did you grab these at the time of their release? Do you have a favorite? New York Toy Fair 2019—Pixar News Roundup!